Fall has felt late this year in Seattle. Just a couple of days ago, I was hit with the smell of decomposing leaves while walking to my office. This is one of my favorite smells. One that I forget about year after year until it hits me on that perfect fall day. And I’ve been thinking maybe it feels late as I am a year out from the last day of working my previous day job, my year-iversary was October 16. Maybe it’s global warming (it was 72 degrees F on Sunday) or the distinct difference of the landscape from that of the desert or, maybe, it’s just having the space to recognize the current season. Whatever the reason, I am so grateful to be rooting back into my natural seasonal rhythms as well as recognizing my personal rituals. Last week I began hunkering down for the autumnal season. 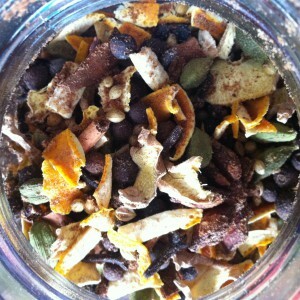 My form of hunkering down is, apparently, making and mixing granola and chai from scratch. This also entailed spice shopping at World Spice with a friend from out of town and gathering the fixings, specifically the right kind of oatmeal for granola. I love shopping for food and spices and herbs. 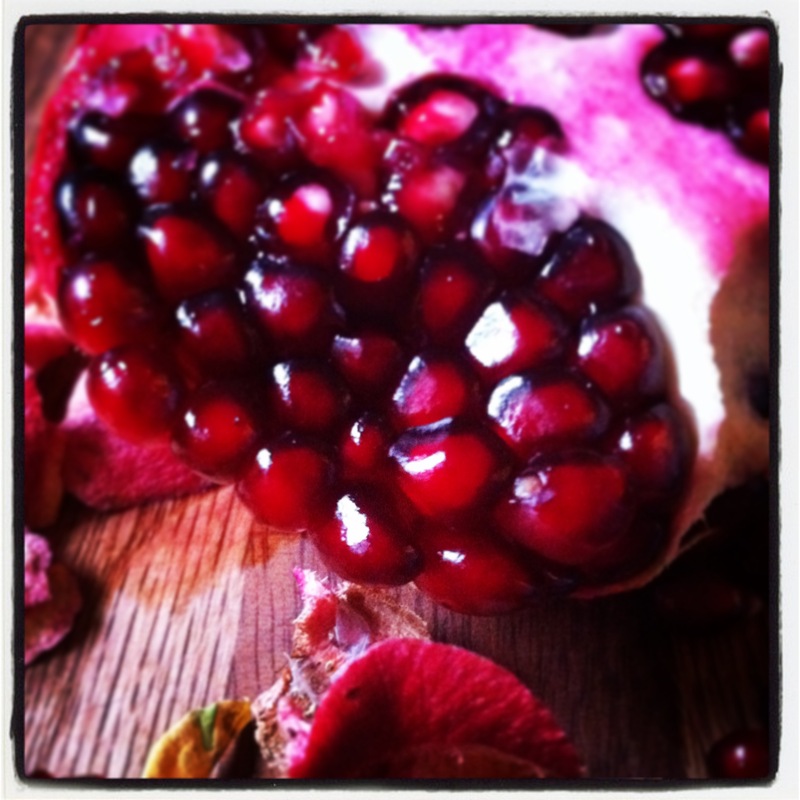 Farmer’s markets, hidden gems, ethnic markets, specialty groceries, each of them hit some bliss spot in my brain. Both of these recipes have been with me for some time. They are ones that I made on a regular basis, whose bounty and recipes were given as gifts during that gift-giving season, long before the craziness of shifting from my day job began. Making them feels like coming home — very root chakra, the first chakra at the base of the spine. The place from which our energetic roots sprout down into the Earth to anchor us in this time and space. This fits perfectly with my current metaphorical obsession with planting bulbs and the roots that sprout and grow deep down into the Earth during Autumn and Winter in order to spring forth those first signs of new life in March and April at my home in the Northern Hemisphere. This obsession was spurned by my dear friend and grad school compatriot, Christina Bechstein, and images from her wedding a month ago. 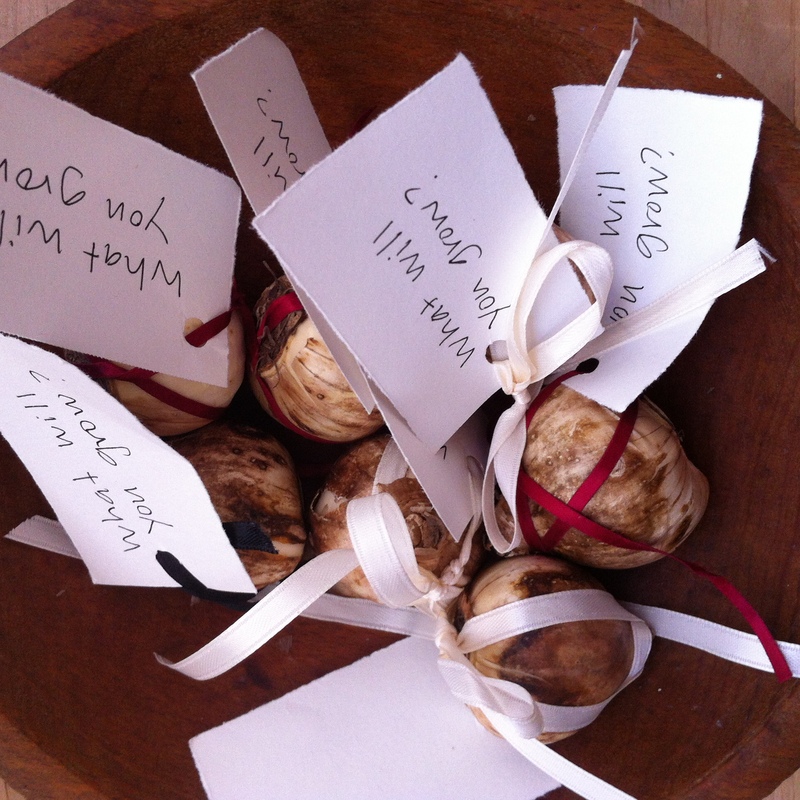 Her gift to guests was a bowl full of bulbs with the signs “Take one” and “What do you want to grow?”. I was so inspired by this that for the in-person Calibration Meditation + Healing circle earlier this month, I gifted bulbs tied with a ribbon and a note that said “What will you grow?”. What idea, project, work of art, product, business, or way of being do you want to plant the bulb for right now? What foundation needs to be planted now in order for what you want to birth into the world to bloom in Spring? I speak more of this idea of planting your bulbs in this guided meditation for the Scorpio New Moon (0 degrees) tomorrow at 1:56pm PT. The solar eclipse occurs from 12:38pm – 4:52pm PT. And I would love for you to join me in the New Moon Ritual mentioned in the voice memo above. In addition to reflecting on those things you wish to bring to fruition this New Moon cycle, hold a larger project in your mind’s eye. Once you have it in mind, quite literally plant bulbs with the metaphorical image of planting your dreams so that their foundation can grow during the dark time. Hold onto the image of your bulb’s roots growing throughout the Autumn and Winter while you plan your next steps, charting your course to Spring. It would be remiss of me if I didn’t include direct mention of Scorpio, our underworld water sign, as we take this plunge into the darkness, the under-belly of the year. There are lots of great resources on the New Moon and Solar Eclipse which I have included below the recipes. Preheat oven to 350 degrees. Whisk oil and honey together in large bowl. 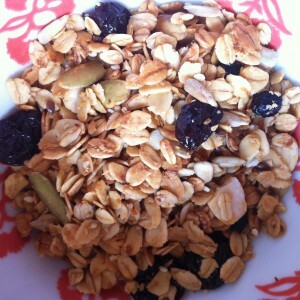 Add oatmeal, sesame seeds, and sunflower seeds. Stir until dry ingredients are coated with oil/honey mixture. Cover a jellyroll pan with aluminum foil. Spread mixture into pan. Bake 30 minutes stirring occasionally. Stir in dried fruit once out of the oven. Place all spice in a jar and shake up well. Use the vanilla bean whole to flavor the mix. It can be reused and live in the jar for the lifespan of your mix. If you use fresh orange peel and/or fresh ginger chop up and let dry in slow oven or over night on a cookie sheet before adding to mix. To prepare, bring to cups of water and 2 T of Chai spice mix to a boil and simmer, covered, for 15 minutes. Turn off heat and add a teaspoon full of a rich loose black tea of your choosing; cover and let steep 3 minutes. I love Yorkshire Gold though the recipe originally called for Darjeeling. I then strain and add a touch of almond milk. You could also choose to strain and add a cup of your favorite milk and a touch of sweetener if preferred. I love that Margaret Atwood passage sooooo much. I tend to hunker down with long, blustery fall walks with coffee in hand.